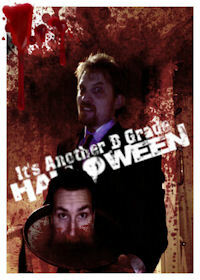 Well, for the 2nd year in a row our little B Grade show has fallen on the night of all hallows eve! This year we decided to dedicate the show to movies featuring Halloween as a theme. I must say though, I am a bit disappointed that Night of the Demons (The 1988 version, not the godawful remake) didn't get a mention for its wonderful portrayal of everyone's worst fear, razorblades in the candy apples!! Anyhow, sit back and enjoy the latest episode of How B Grade Movies Saved or Ruined My Life! As always you can find the show on Facebook, listen to us live at Edge Radio on Sundays at 6pm (AEST) or listen to all past episodes at B Grade Online.